You or your indie label submit the completed work under certain requirements to one of those services. Your audience will be able to purchase your song or album from this service.. Either you’ll pay an annual fee or the service keeps a commission on each sale. This will already help you a lot to make a decision! But something that I can’t stress enough is: Please read the services’ fine prints! Only then you can make an informed decision that will be benefitial to your art AND your budget. 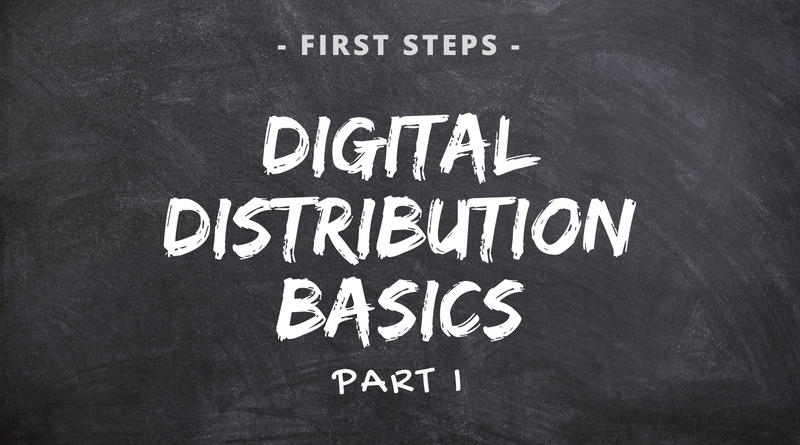 We all know by now that digital distribution is a major pillar of your business, so I’ll spare you the usual statistics or graphics. Streaming and downloading music is one of the biggest revenue opportunities. When preparing your first release, you could rely only on online distribution and plan additional physical distribution for a later time. Regarding your very tight to non-existent budget, you can easily cut the cost of physical production of copies. Another benefit of digital distribution that may work in your favor are the recommendations on those services. Based on their listening habits, you might be added to their recommendations segment. The possibility for your audience to buy the full album or just a collection of their favorite songs may tip the scale when it comes to deciding to buy or not. Your music will be available worldwide to anybody who has access to the internet. The greatest disadvantage lies in the fact that your creation will very likely be made available for illegal download as well. But every artist that uses digital distribution has to deal with that. The more loyal your audience, the less likely it is that somebody will reupload your music for free. You’ll also need to check up on the services you use periodically. Do they pay you the correct royalties in time? If you have any questions, feel free to leave them as a comment below!